If you are a fashion lover who gets excited every fashion week and follows every step of every fashion blogger, this is your site. Scrolling up and down that fashion blog page isn’t going to make you look fashionable. Put those fashion tips into practice and visit the different fashion stores around you to look for the most fashion outfits. There are many clothing stores in Sydney, from big retail shops to small boutiques. If what you want is to achieve a personal look that makes you feel one of a kind instead of wearing the same jacket or dress than hundreds of people in your town, you should go shopping to the best boutiques in Sydney. These stores offer more personal services and unique clothes and accessories inspired by great fashion designers. Probably, when you hear of the word boutique, the first thing that comes up to your mind is “wedding”. People use to only relate boutique to beautiful wedding dresses. A wedding is a special occasion when it is worth to buy in a bridal boutique where apart from the wedding dress, you can find the best options for the mother of the bridge or flower girl dresses, for example. However, there are many boutiques in Sydney selling quality casual clothing and other beautiful gowns like prom dresses. At Infoisinfo we always work hard to be able to provide you with useful information so that you can easily find the best products and services in Sydney. We know how much you care about fashion and we would like to help you to find the perfect outfit for every occasion. 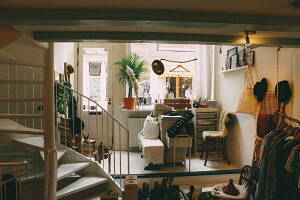 For this reason, we have prepared a list of the best boutiques in Sydney for you to choose from. All of them offer the best quality and unique clothes, shoes and accessories, and you could find from casual clothes to the most beautiful wedding dress and bridal shoes. These collections are inspired by great dress designers and some of them own their boutique in Sydney. You can get in touch thanks to the contact details provided on our websites, such as phone numbers, address, opening times or websites. In addition, you can have a look at comments and valuations from other clients to get a better idea about each fashion boutique. 196, Point Rd, Glebe. Sydney. NSW, 2037. 201 Macquarie St, Sydney. Sydney. NSW, 2000. 4 Wentworth Ave, Sydney. Sydney. NSW, 2000. The Lavender Bay Boatshed, 23A King George St, Mcmahons Point, Sydney. Sydney. NSW, 2000. 89-113 Kent St, Millers Point. Sydney. NSW, 2000. 284 South Dowling St, Paddington. Sydney. NSW, 2021. Level 20, 55 Market St, Sydney. Sydney. NSW, 2000. 80 Oxford St, Paddington. Sydney. NSW, 2021. Studio 105, 30-40 Harcourt Pde, Rosebery. Sydney. NSW, 2018. 123, Point Rd, Glebe. Sydney. NSW, 2037. 56 Oxford St, Paddington. Sydney. NSW, 2021. 188 Pitt St, Sydney. Sydney. NSW, 2000. 122 Oxford St, Paddington. Sydney. NSW, 2021. 53-59 Great Buckingham St,Redfern, NSW, 2016, Redfern. Sydney. NSW. Suite 9.07, Level 9, 14 Kings Cross Rd, Potts Point. Sydney. NSW, 2011. Po Box 858, Surry Hills. Sydney. NSW, 2010. 86 Flinders St, Darlinghurst. Sydney. NSW, 2010. Level 1, 299 Elizabeth St, Sydney. Sydney. NSW, 2000. 15 Springfield Ave, Potts Point. Sydney. NSW, 2011. Shop 5, 662 Botany Rd, Alexandria. Sydney. NSW, 2015. 325, Point Rd, Glebe. Sydney. NSW, 2037. 197 Harris St, Pyrmont. Sydney. NSW, 2009.